Reports have surfaced indicating that Ocarina of Time 3D is not being developed by Nintendo EAD, the traditional studio in charge of the franchise, but rather by an outside developer – a Japanese studio known as Grezzo. It’s an interesting and somewhat surprising move given Ocarina of Time‘s status as one of the most cherished titles in Nintendo’s history, but when you boil things down and think about the fact that this is an updated version of an already-released game that intends mostly to enhance the original content with better visuals and certain 3DS-exclusive features, it’s a smart approach. Better to leave the core Zelda team’s hands untied so they can give their all to Skyward Sword. It’s not the first time Nintendo has handed the reigns for one of their core franchises to an outside company – and, indeed, it’s not the first time it’s happened for Zelda. Four out of the seven unique handheld entries in the series were developed by Flagship, a Capcom division that originally teamed up with Nintendo for the project that evolved into what we now know as the Oracles games. And by and large these games were excellent – they may not have been the critical and commercial giants that the rest of the series was, but given their “secondary” nature compared to the 3D console titles and high focus on inter-connectivity (thus making them much more of an investment for potential players), this is to be expected. 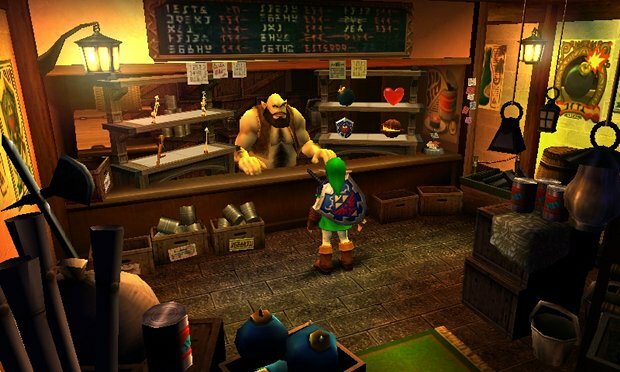 Given that Ocarina of Time‘s engine appears to be left largely unaltered, aside from a few modifications to the menu interface to adapt it to the touch screen and the addition of gyro controls for first-person viewing, the former of which really poses no game-breaking threat and the latter of which is entirely optional, it’s really a no-risk move for Nintendo. Graphically things seem to be based mostly on the old visuals, only with higher-resolution textures and some prerendered background elements like Death Mountain being replaced with actual 3D models. There are a lot of neat doodads, most notably the added material in the Bazaar that makes the game feel much fuller, but again, nothing even potentially harmful to the content of the original. As for Grezzo, it’s a fairly new company and as such doesn’t have much credit to its name thus far, but its CEO, Koichi Ishii, was responsible for the Mana series, a legendary franchise very close to Zelda in terms of its roots and gameplay. Grezzo’s most notable contribution thus far is Line Attack Heroes, a WiiWare game that proved to be popular in Japan. Obviously Ocarina of Time 3D has gotten favorable impressions so far, so their reputation, small as it is, seems to be pretty solid. 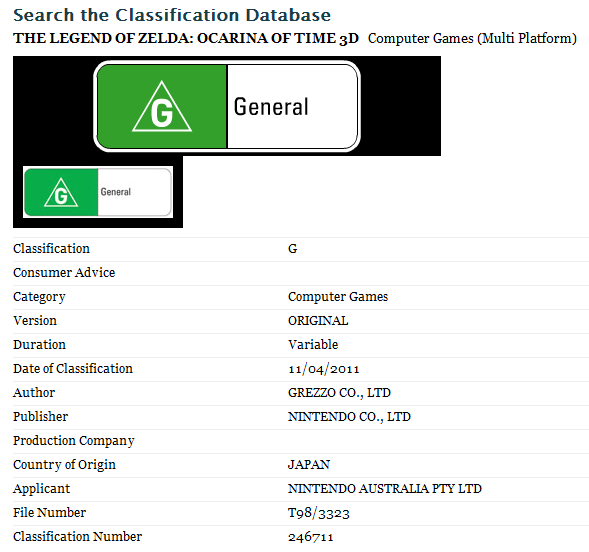 So far Nintendo seems to be keeping their involvement under wraps – with the developer still listed as N/A on the official website – maybe to avoid some kind of stigma against the game based on its association with an outside company? Goodness knows that having been re-released three times already the game might inevitably prove to be a hard sell as it is. Either way, I think that recruiting an outside studio to put together this homage – and it is an homage in the sense that it’s an attempt to woo older fans who want to experience it all over again – is going to work out just fine. And, as I mentioned before, it means EAD can give 110% of their attention to Skyward Sword, which can only be a good thing.